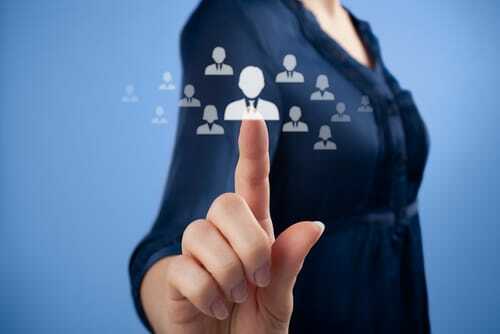 Our previous blogs have highlighted the demands that are often put on HR Departments when it comes to the sourcing, selection and hiring of top personnel – demands that become so labour intensive that specialized Recruitment Agencies are asked to take on the important task of personnel hiring. But what happens when the available position is within an HR Department – how is the hiring handled for a significant role within a company’s central section? Summit Search Group is a Canadian wide Recruitment Firm that is experienced in stepping in and managing the many steps that result in a successful hire. Supporting the hiring needs of dynamic companies is not something that Summit’s teams of recruiters take lightly – in fact when this Canadian Recruitment Agency works with hiring corporations, extensive energy, knowledge, skill and commitment is brought to each and every assignment to ensure that only the finest candidates are obtained. Desirable HR Professionals possess a certain set of skills that make them highly successful and leaders in their field. Expertise in business translates to an individual being taken seriously and ideas being given merit because the person speaks from a place of first-hand experience – HR leaders who have an extensive understanding of business are a valuable asset to successful companies. HR Professionals contribute to an organization’s achievements by possessing and utilizing competency in managing a company’s top resource – its people. Mixing perfected people skills with technical awareness empowers HR Personnel to excel in their position and for an organization’s business goals. Recruitment Specialists at Summit Search Group have a clear understanding of what it takes to thrive in the world of HR – acknowledging that the aptitude for linking finance, operations and marketing to the human aspect of business is an essential talent that all HR Departments seek – and a talent that Summit Search Group endeavours to source for clients. Summit Search Group provides Recruitment Services across Canada. With offices coast-to-coast, from Halifax to Vancouver, this Canadian Recruitment Agency is able to meet all the hiring demands of all industries and assist in sourcing and retaining today’s top professionals. If your company requires Recruitment Assistance – or if you are a candidate who is seeking exceptional support and guidance in job recruitment – contact Summit Search Group today.